Clean and dry those sensitive and tricky to get to places on your little one with these buds, or simply use then to put cream on blemishes. 100% organic cotton tips, where artificial pesticides were not used on the cotton. Biodegradable paper stems instead of typical plastic ones which could cause damage to the environment. 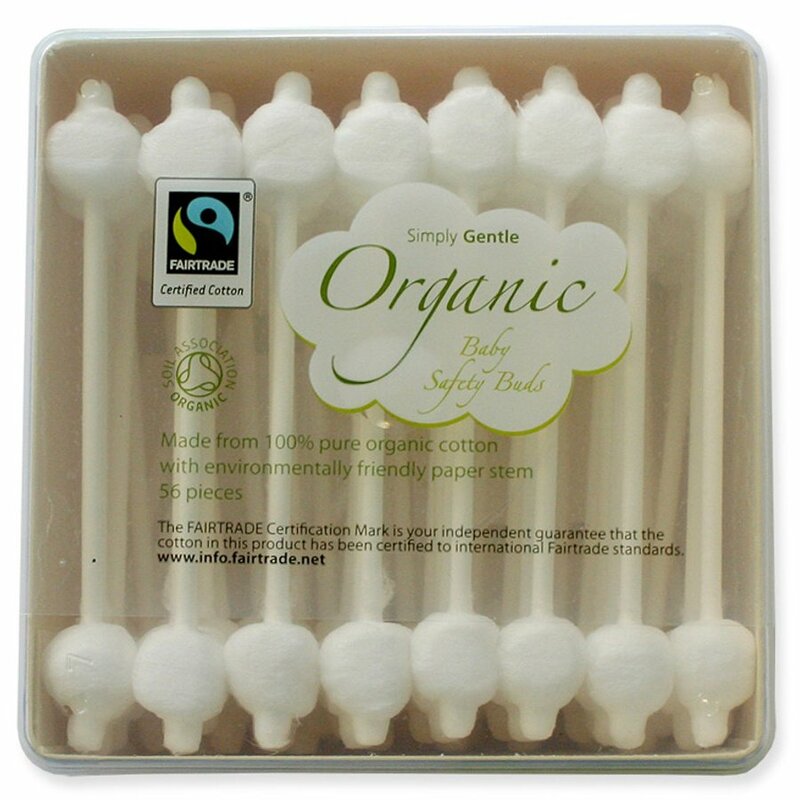 Cotton buds which are gentle on everyone and the environment. Certified Organic by the Soil Association. Caution: Avoid inserting into ear canal or nose. 100% Organic Cotton Wool, FSC approved paper stems. There are currently no questions to display about Simply Gentle Organic Cotton Baby Safety Buds - Pack of 56.